Such a compelling portrait of beautiful, brutal America! What would happen if you got to luxuriate in a one-percenter's little folly, but weren't one of them? Who do you, and your integrity, become when something goes wrong? 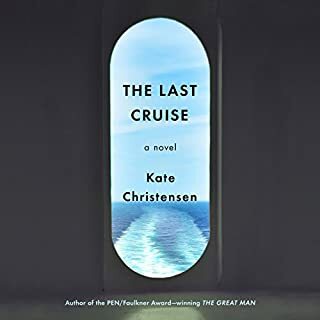 The newest novel from the fiercely intelligent Kate Christensen (one of this country's most consistently interesting writers) gives us several unlikely heroes who are just like us: smart, talented women and men struggling to survive in the new America and the turbulent wake of international corporate power. The turquoise waters are delightful, but like anything in excess they also hide danger and despair. The tension here is not mortal: it is, like all of Christensen's books, moral. And so wonderfully complex. She refuses to deal in easy stereotypes: no one is simply good or bad. She lures us into this cruise with a delightfully stylish premise, all exquisite food and glamorous settings and vivid characters. Then she turns it all on its head to follow the money. And while chaos threatens, she deftly develops two of the most memorable romances I've ever enjoyed. The narrator is very good, for male voices. 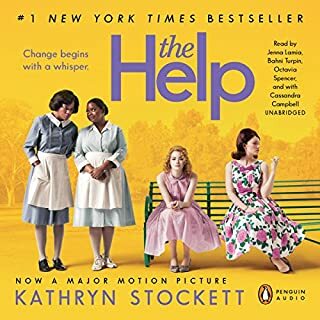 I've given only 4 stars simply because there were so many interesting female characters, of all ages, that I found myself longing for a female voice, or at least a less rumbly male voice. Ever wondered what it takes to be a Saint? What did you love best about Kristin Lavransdatter? Being consistently surprised at how every character who initially seemed to be predictable became in the long run a fascinating and sometimes exasperating portrait of temperament and complexity. This is a writer who plays the long game masterfully; her Nobel made total sense to me after finishing. I very much enjoy being surprised as a reader, whether by an unusual interpretation (such as a female Sherlock Holmes in A Study in Scarlet Women), unexpectedly touching friendships in the midst of a romp (Gail Carriger's Soulless series), or now this Norwegian "Catholic novel" of the 1920s, which my non-religious self found ultimately quite fascinating. Do I really need to even wonder about a favorite? No, the book is far too complex for such a simplistic question. There is a wide cast of alternately interesting and maddening characters. No one was either all good or all evil. A reader could find that Kristin herself is either flawed and saintly; or martyr-like in the most annoying way. Above all, the writer sees and loves humanity in all its complexity, and took the time to write about them in such intriguing depth. She probably took years or even decades to do so, with patience and without judging them for their failings (or at least offering other explanations for their failings). Like the author, Ms. Bennet plays an amazing long game. 48 hours of consistently measured but passionate narration. She never overwhelmed the story, and her voices never made me cringe; on the contary, they often were very appealing. Her voicing of Kristin came the closest to being annoying, but I think that was intentional: the character is so self-consciously pious that Bennet's rendition was spot-on, if sometimes a little off-putting. So many. These people are so filled with human failings, and do sometimes outrageous things, and yet they overwhelmingly struggle to find their way back towards a moral center. If that sounds pretentious, it really isn't in the book. They struggle the same way Sherlock Holmes struggles, or Zadie Smith's characters struggle, or even "zany" Christopher Moore's characters try not to go completely off whatever edge they're teetering on. When I recommended this book to my spiritual but 20-something friend, he laughed and said he would never read it, too many negatives: Norwegian, 14th century, Catholic, LONG, etc. I think if he ever gave it a good try (say, 20 hours or so) he might change his mind and find it fascinating. First, as the overwhelming popularity of TV series implies, few of us want to see a good story end. 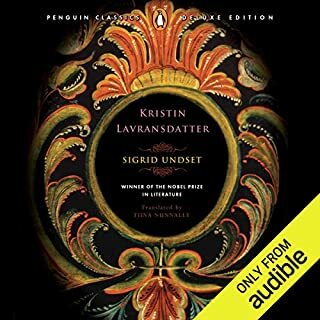 And so much of Kristin Lavransdatter is relevant to 2017 (men responding almost mystically to men who act like "Chieftains", for example); it is a wonderful, patient writer's deep look into a patriarchal Scandinavian world through the eyes of a stubborn woman who never manages to disengage from her bloody, chaotic world, even as she tries to give it up entirely while still living (through a path clearly laid out by one religion's sometimes almost unbelievably harsh guidelines). Would you try another book from Kate Atkinson and/or Alex Jennings? I was stunned by the slow-building deep philosophical questions in Kate Atkinson's Life After Life (a very accurate title). It was not a shallowly exciting novel; rather, it gradually drew me in and captured my allegiance and my admiration. When I saw there was a sequel I immediately downloaded it. The story was too much of the quite boring life of a charming side character in LAL. And the reader, I have to say, really poisoned the tone of the novel, delivering much of the character's voices as whiny or just false, and much of the narration as snide. If you desire a novel which seems to paint all people other than well-educated but pure-at-heart English men and women as simpletons, this would be a good one for you to enjoy. I am frankly puzzled by both the novel and the positive reviews. I wish I could recapture the glow of Life After Life and leave it at that. 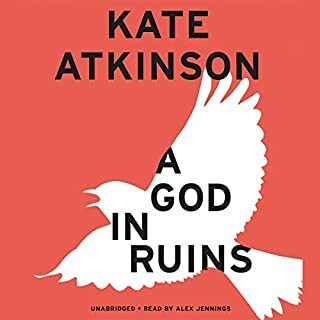 Has A God in Ruins turned you off from other books in this genre? Who would you have cast as narrator instead of Alex Jennings? Someone who knows the difference between confident and snide. What character would you cut from A God in Ruins? The tension in this wonderful novel builds exquisitely slowly. The writer never once hits the reader over the head with a conclusion, but always allows us to feel it ourselves. This is the best evocation of 1960s Southern America I've ever read, because it focuses on the completely unspoken rules that govern every aspect of behavior between the races. And unspoken rules, of course, cannot be legislated away. Stockett's characters are heartbreaking in their everyday compassion, frustration, mercy and cruelty. How does change really begin to happen? Listen to this beautifully narrated story and find out.